As a professional pest technician, many people ask me how bedbugs actual get around from place to place. The best way to describe this is simply that they hitchhike their way around. Bedbugs hitchhike in luggage on clothes and via all means of transport from planes, train and ships. This is pretty much how they have become worldwide travellers. Don’t underestimate how well these little pests move around, their masters at it. This is the main reason why a pest controller needs to be so careful when dealing with them. 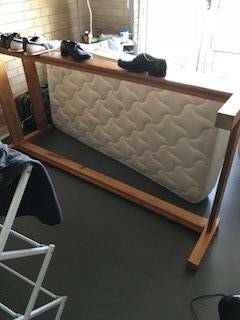 When setting up a room to deal with an infestation of bed bugs it’s important to be careful when moving furniture around. The idea is not to let any part of the body touch any of the items within the room. Bed bugs have mastered the art of hitchhiking and can go undetected very easily. This is where many homeowners go wrong; they pass them from one room to the next unknowingly. You need to be very careful when dealing with these pests and if left untreated for some time, they can turn into your worst nightmare. Before any bed bug treatment, a thorough inspection of the affected room will need to be done. During the inspection, the pest technician needs to be careful not to let any of them hitchhike their way out of the room. Once the inspection has been completed the bed bug chemical heat treatment is then started. No other person except a trained pest technician should enter the room once treatment has started. This will ensure that they aren’t spread to other areas of the home. Simply spraying a room for bed bugs just isn’t good enough. The room needs to be set up probably before a bed bug treatment can be started. All clothing will need to be bagged and then washed and dried this will eliminate all stages including their eggs. Once the clothing has been removed the bed linen will have to have the same treatment, washed and dried. So now we have the room pretty much empty except for the furniture. Bedroom furniture will need to be pulled away from walls and draws also pulled out. Beds will be placed on their side and the mattress raised slightly off the ground. 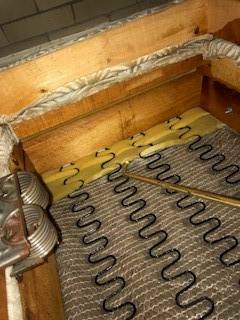 By having the bed and mattress raised this will allow air flow to all sides, this is important for the heat treatment stage. The best method to get rid of bed bugs is with the use of chemical and heat combined. Once the room is ready the treatment can begin. First, there is a chemical treatment applied to the room followed by the heat treatment. Both treatments are explained below. Bed bug chemical heat treatment methods have shown a faster and better success rate in using just chemicals. A heat treatment to deal with bed bugs is pretty simple you would think, just heat the room up right. Well, it’s not that easy to heat a room you need to use industrial heaters with higher heat settings. The principal is pretty easy but even if you have the right heaters as mentioned earlier the room needs to be set up correctly. If the hot air can’t flow to all surfaces around the room the treatment may be unsuccessful. It may even be necessary to move furniture during the heating process. By moving the furniture from time to time will ensure full circulation. The temperature needs to be in excess of 46 degrees to kill all stages of the life cycle. The room will also need to be kept at that temperature or above for about an hour. Doors and windows may need to be sealed to help with heat loss. Temperature gauges are placed around the room and monitored from outside. Once the desired temperature is reached an alarm will be set off. We also need to be very careful when dealing with heat because of the fire risk. It is not advised to try and heat a room up unless you know what you’re doing. But don’t forget heat isn’t the be all and end all of treating these little horrors chemical treatments are also needed as a backup. 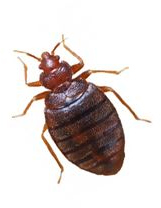 The only real way a guarantee can be offered is when a bed bug chemical heat treatment is used. There are only a few chemicals that I have had any success with when dealing with bed bugs. They are (Seclira) with the active DINOTEFURAN and (Temprid 75) with the actives IMIDACLOPRID and BETA-CYFLUTHRIN. The problem we now have with bed bugs is that they have built a resistance to so many different chemicals. This is one reason why chemical treatments along can fail and are why here at Sunnystate Pest Control we use the bed bug chemical heat treatment method. The two products mentioned are very safe to be sprayed inside homes if applied correctly by a licensed technician. Many customers become concerned when spraying chemicals around, but if done correctly they pose no threat to family members or pets. Re-treatments are always necessary to correctly treat bed bugs. In most cases, up to three treatments will be required to bring an infestation under control. The heat treatment is usually only done once; the follow-up treatments are chemical only. If ever a pest controller says they can get rid of them with one treatment they don’t know bed bugs that well. When applying a chemical to deal with these pests a detailed spray to all areas of the room are required. No area can go untreated or this may result in a failed treatment. Every crack and crevice needs to be properly inspected and treated. The best advice I can give anyone with a problem with these little bugs is to simply contact a professional pest control company. A bed bug chemical heat treatment must also come with some sort of warranty time. Usually, the warranty will be one life cycle of the bugs. A 12-month warranty cannot be offered because there is no product on the market that prevents these pests. Reinfestation is caused by an outside source, by either travelling or having visitors. This cannot be controlled by a pest control company so long term warranties aren’t offered. It would be great if there was a product that prevents bed bugs, but there just isn’t. Some have tried one called Diatomaceous Earth and although this can work as a treatment method, it won’t prevent them from a new source. I have just recently completed a job for a customer and they had used Diatomaceous Earth. They thought that they had gone, but upon inspection of the room, we found live bed bugs. As explained earlier the only way to be sure of elimination is to use the bed bug chemical heat treatment method. If you have any concerns about a problem with these pests please don’t hesitate to send us an email or call our office.